Let’s take one step at a time and work backwards from the article’s title. Clint Eastwood’s next film will be a J. Edgar Hoover biopic tentatively titled J. Edgar. No release date is set, but the assumption is that it will be released in 2012. I am all aboard anything Eastwood does right now. I have been a fan of the last eight films he has directed. As you can probably deduce, Leonardo DiCaprio will be playing the lead J. Edgar Hoover. The film will focus on Hoover’s scandalous career and controversial private life as a homosexual and rumored cross dresser. DiCaprio has been on quite a streak himself. This is just another one of the top notch directors that Leo can cross off his list. Charlize Theron is currently attached to play Helen Gandy. Gandy was Hoover’s personal secretary who, after his death, destroyed all of Hoover’s most personal files. Theron hasn’t been in a film that I really loved since 2007’s In the Valley of Elah. It would be nice to see her in another film I am actually looking forward to. 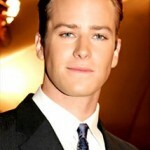 Last but not least is Armie Hammer. Mr. Hammer is currently in talks to play Clyde Tolson, Hoover’s rumored lover. I think Hammer has been overlooked as a best supporting actor choice for his role in The Social Network. He embodied both of the Winklevoss boys so well in the film. It just amazes me that as he was filming, he did not know for sure if he would even be in the film. What do you think of this film so far? Good casting? Let us know what you think in the comments below.